Can love survive when secrecy is the hidden agenda? A sizzling tale of a millionaire businessman and an ambitious, beautiful advertising executive, and the little girl at the center of a long-held secret that draws the two of them together, but could ultimately tear them apart. They walked to the elevator and waited. They stepped on, the only passengers inside. She pointedly walked to the opposite corner from him for the ride. He watched her for a second more, and then with a groan, he covered the short distance between them, leaned in close and captured her lips with an unexpected kiss. She gasped as his lips landed on hers. She absorbed the sensation of his warm, soft lips brushing over hers, his luscious tongue entering her mouth and the fireworks he released in her body. Short moments stretched into longer ones, and she closed her eyes to push away the realities of time and place, and just concentrate on the sensations. She reached up and gripped his jacket lapels with both her hands, twisting her neck to allow him deeper penetration. Their tongues played an urgent but soulful game of wrestling, over and under and back again, until one of them, she wasn’t sure which, ended the kiss and pulled away. She backed up, panting, and brought her fingertips to her lips. She gazed up at his face and saw that he was undone as well. She wiped some lipstick from his lips with her thumb. 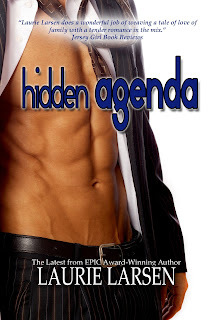 Hidden Agenda is he perfect title for this story! Everyone except sweet Caroline seems to have either an agenda or something hidden that they don't want to share! Alyssa and Grant meet by chance, but he knows her and is determined to spend more time with her. See Grant has a Hidden Agenda for running into Alyssa time and time again. And it could cause Alyssa a lot of pain or a lot of happiness depending on how things play out. Hidden Agenda is a really sweet story and I have to say little Caroline steals the show. She is cute and funny and really made me laugh and smile. Alyssa is a great character as well. A single mother determined to raise her daughter the best way she can, even if that means making a few moves to further her career to make things better in the long run. Grant is a gentleman that has an obsession. There are times you have to wonder if he is dangerous or determined. There are so many ways the story could go! Pick this one up if you are looking for a sweet romance that has some laughter and high emotions. Project Manager by day in the fast-paced world of Information Technology, Laurie escapes her demanding day job to wrap herself in the joy of writing stories about everyday life, with just a touch of worst case scenario. Known for her sentimental and emotional love stories, Laurie became an award-winning author when her novel Preacher Man won the 2010 EPIC Award for Best Spiritual Romance. Laurie is a wife and mother of two sons and lives in Central Illinois. Keep in touch with Laurie! 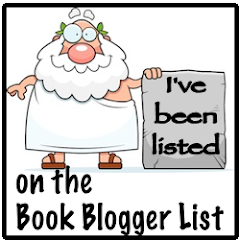 Laurie will be awarding a $25 gift certificate to Amazon or Barnes & Noble or another eBook retailer (winner's choice) to a randomly drawn commenter during the tour. It is a great title. I'm looking forward to seeing how this story plays out. Thank you for welcoming me to your lovely blog today! And thanks for the wonderful review! What a great review..and tour.... thanks for putting this out there. Shannon, thank you for your comment! 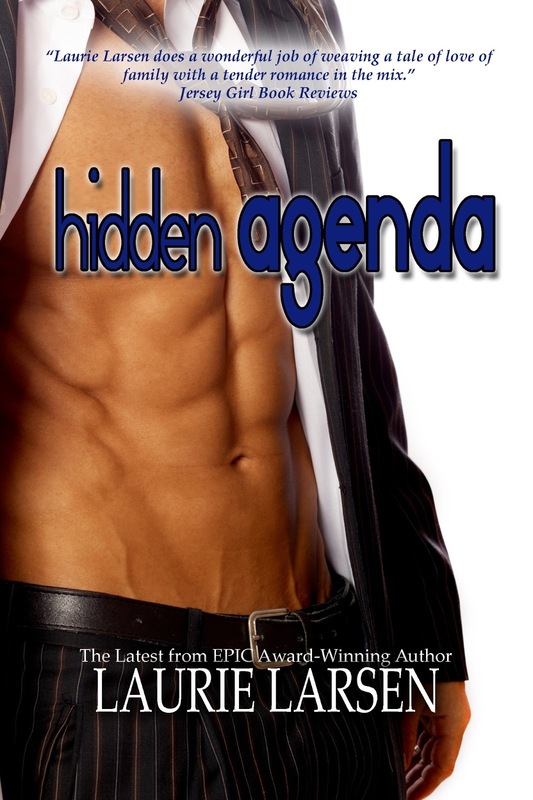 After you read Hidden Agenda, let me know if it hit the mark!! Thanks. Nice review, sounds like a fun read. Thank you Ingeborg!! Have a great day. Hi Crystal! So nice of you to stop by this afternoon. 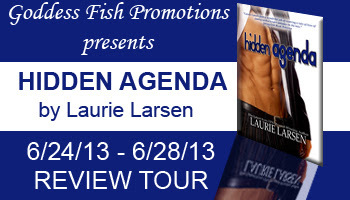 I hope you're pick up Hidden Agenda for some of your summer reading! Hi BN! So nice to "meet" you. Thanks for stopping by the blog today. Caroline sounds darling! Plus, I love a contemporary romance with some humor. Hi Catherine! I always love writing children into my stories. Very few of mine don't feature a child in a leading role. Caroline was fun to write. Well, it's getting close to bedtime in my time zone :) so I'm going to say good night and thank you again for such a warm welcome! I hope you'll all check out Hidden Agenda and I sincerely hope it's your best read all summer!! Thanks for the giveaway opportunity! I love being introduced to new books/authors. Hi Jennifer! You're welcome! I'm actually just gathering all the commenters now and will draw a winner soon. So glad to "meet" you and I hope you'll give some of my books a try. Seems like this one is getting high marks across the board! Thanks for sharing your thoughts! Thank you so much! I hope you'll check it out.